Remember the legends of knights in shining armor, rescuing damsels in distress? Many young girls have daydreamed about such a warrior, rescuing them from school ( in time to miss the math test, please), from irritating siblings (who mess with our stuff), and from chores (which are so boring). But, Sir Lancelot never did ride his steed up the street, clank up to the front door, and announce his desire to marry the maiden of the household. 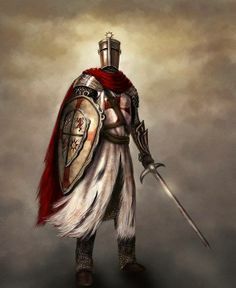 Warriors do not exist in today’s world. Except, in a much more serious realm than fantasy land. We have a Prayer Warrior. Someone who is continually presenting to God Almighty our needs. 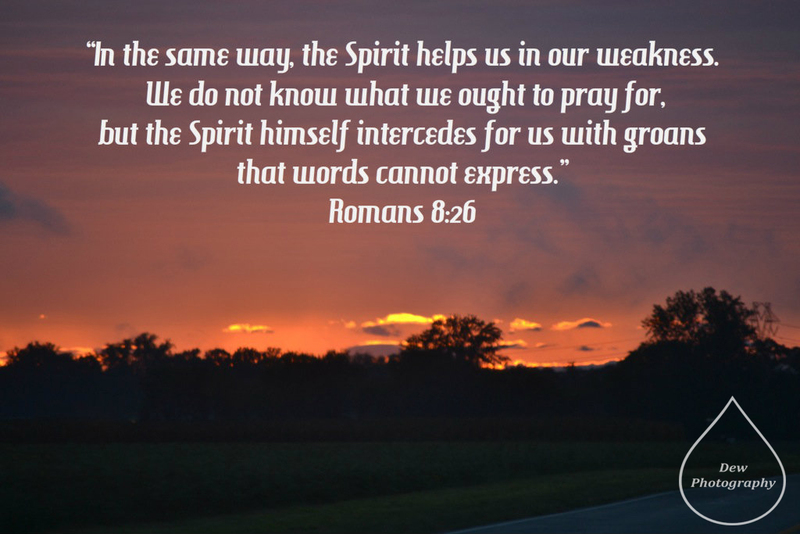 “The Spirit himself intercedes for us with groans that words cannot express” (Romans 8:26). Think of it. The Holy Spirit of God is praying for us! When we’re highly distracted, and can’t keep our minds focused, the Spirit steps in and becomes our Champion. During those times when we’re too distraught to put out thoughts into words, he comes to our aid. When situations confound us, he knows what’s needed. I’m thinking of the time our thirteen-year old daughter awoke us around 4:00 in the morning, because she was in terrible pain. After explaining the situation to our older son, we bundled Heather into the van, and sped to the ER. En route, she lay in the fetal position, moaning intermittently, and sometimes crying out when a severe spasm cramped her midsection. Those long moments on the road and then waiting in the ER were tortuous. I was the quintessential mother-in-distress, frustrated by helplessness and anxious about the outcome. Putting together a coherent prayer was out of the question. If, at that moment, I could have glimpsed into the heavenly realm, I may have witnessed the Holy Spirit taking firm hold of the situation and speaking eloquently to God the Father on our behalf. Then, he would have communicated the fear in our hearts “with intense groanings that words could not express.” He knew the height of our anxiety. Words do not suffice at such a moment, any more than mere words can properly convey love or grief, or any number of emotions. Ray Stedman (1917-1992), author and pastor, concluded: “Language is not essential to Divine intercession.” I agree. God chose to intervene that morning. A physical exam and sonogram revealed that a cyst was causing all the trouble. Miraculously it burst on its own within hours of our arrival at the hospital. Surgery was not necessary. By 9:00, we were on our way home, with Heather resting comfortably. Oh, God, thank you for providing your Holy Spirit to come to our aid, to bear us up in our weakness. We do not know how to pray as we ought, and sometimes we don’t even know what to pray. But your Spirit pleads on our behalf, even communicating unspeakable yearnings and groanings too deep for words. And because you, your Spirit, and your Son, Jesus, are three-in-one, you know the Spirit’s every thought. Inaudible prayers are more than sufficient. We praise you, oh God, for the depth of your loving provision, especially when circumstances spin out of control. I love this and needed it today. He knows my words even before I speak them. And He knows my heart when words fail me or simply aren’t enough. Beautifully said, Heather! Praise God for his timing, arranging this post for today. This writing came at just the perfect time for me. Thank you once again. Sometimes, all I can say is “Thank you Jesus” He knows my heart. Indeed, Laura. That’s the bottom line: Jesus knows our hearts. What a comfort in that knowledge alone! You are most welcome, Rebeca! I’m delighted you found the post meaningful. Praise God! I just read this today. It is perfect timing due to a situation within my family. It is so reassuring that…not knowing the right words to pray…the Holy Spirit within me can translate my feeble attempts at expression into the perfect message to convey to the Lord. Praise Father, Son, and Holy Spirit! Amen, Sister! How glorious that God “delivered” this post at just the right time.